Michael Pezzulli receives the highest possible rating in ability and ethics - again! - Law Office of Michael F. Pezzulli, P.L.L.C. You are here: Home / Featured / Michael Pezzulli receives the highest possible rating in ability and ethics – again! 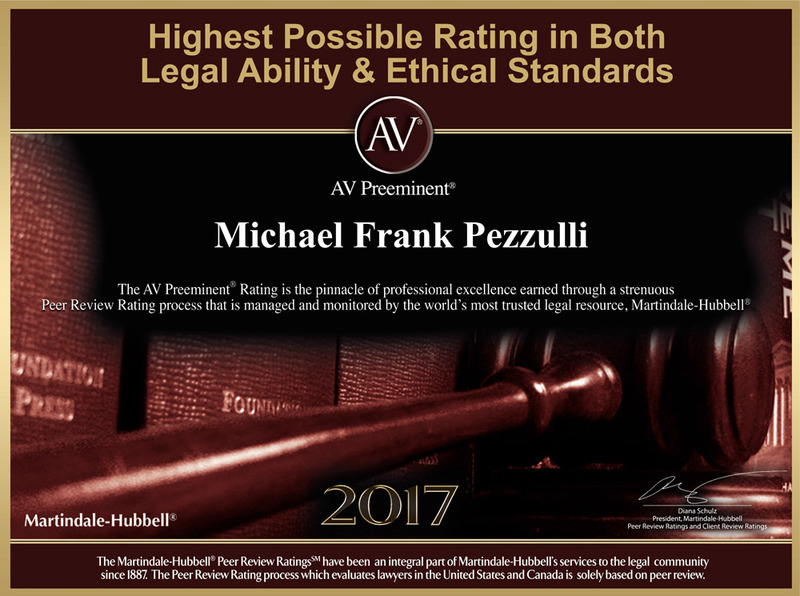 Michael Pezzulli receives the highest possible rating in ability and ethics – again!